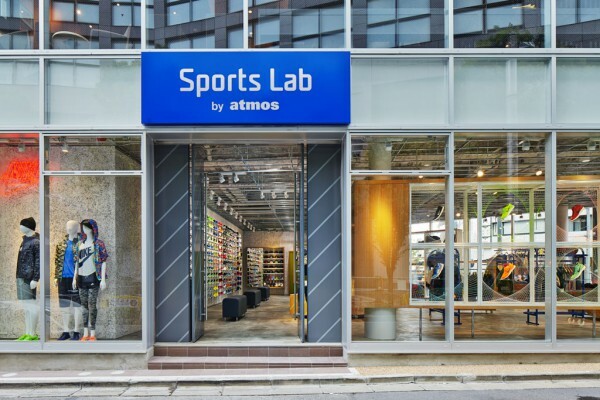 We performed the interior design for the sports and urban lifestyle store Sports Lab by atmos that opened in Shinjuku, Tokyo. 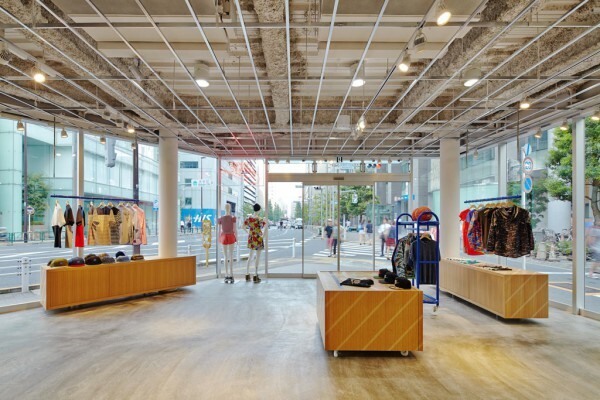 The shop focuses on Nike footwear and apparel and is intended to promote the idea of integration between sportswear and street fashion which is the theme behind the store. 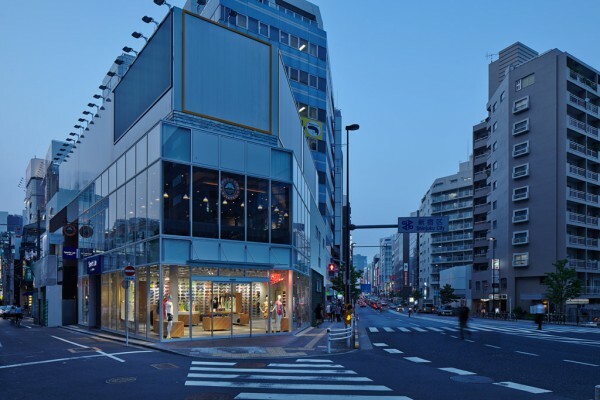 We proposed a shop that incorporates the essence of a sports arena based on the environment enclosed by glass on three sides built on a plot extending from the street and facing the Takashimaya Shinjuku store located along Meiji-dōri Street. Pivoting shelves mounted on axial round pillars, mobile furniture mounted on wheels akin to ball racks and other fixtures which sample the flooring of a sports arena enable the interior of the store to be changed with flexibility. 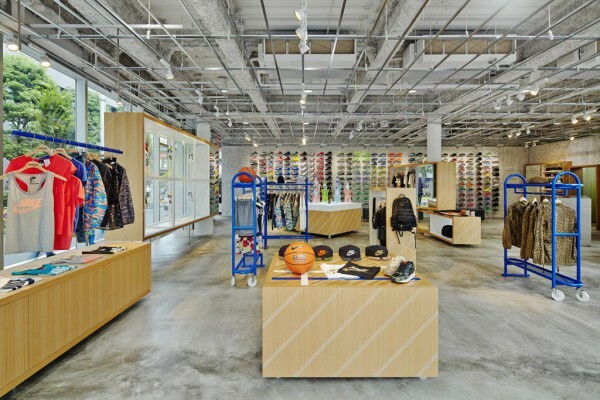 The iconic 360 Wall shoe display can be seen from the street and carry up to 360 pairs of shoes against a cemented excelsior board background. The ceiling plane reveals a bare light steel frame which is a grill work layer that covers the skeleton ceiling while encasing the lighting and air conditioning systems. This not only makes the ceiling feel higher, but also conveys the typical impression of a sports arena. We strived to create a shop that expresses the theme of integration between street fashion and sportswear, which by their arguably mismatching co-existence, hints at the prospect of a new business.